When it comes to lodging, Luray and Page County can meet every need. With an estimated 400-500 cabins in Page County and 7 campgrounds along the Shenandoah River or nestled in the Blue Ridge Mountains, you’ll find your home away from home, whether you’re looking for a couples’ romantic getaway or a rustic group retreat. Or, book a stay in one of our charming inns, family-owned bed & breakfasts, or local luxury hotels and let their hospitality take care of everything. Once you’ve settled in, treat yourself to a farm-to-table meal, glass of our local wine, or any number of the outdoor recreation activities around the county. We cater to groups of all sizes, styles, and preferences—so make yourself at home, kick off your shoes, and stay a while. 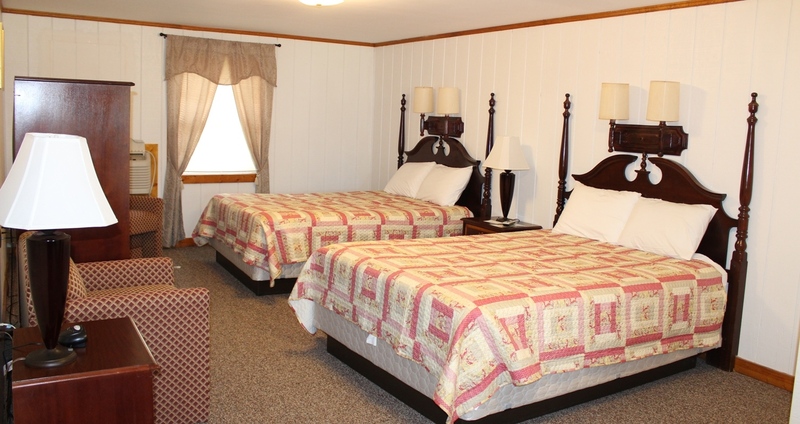 Choose between the bed and breakfasts, cabins and country homes, campgrounds, and hotels, motels, and inns below to see what's available in Luray and Page County. Allow us to show off the best places to stay overnight in and around Page County and choose the “Cabins & Country Homes” option to visit our Cabin Capital of Virginia website to select the specific location and amenities you need to make your stay perfect.